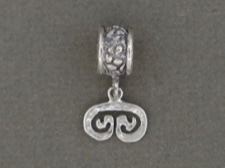 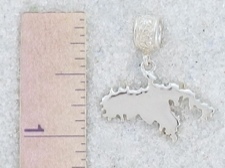 Handcast on St. John, made to fit any 'add a bead' bracelet, or looks great also as a pendant, this sterling silver St. John map is custom made by Tom and Alice Krall. 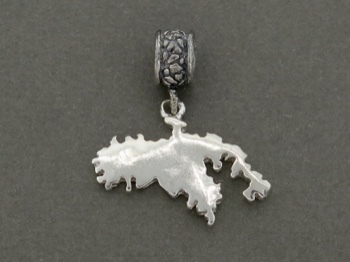 Keep this reminder of this special island close to your heart. 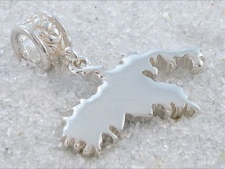 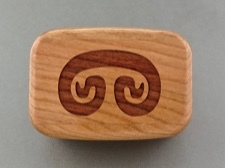 Makes a wonderful gift or personal memento.